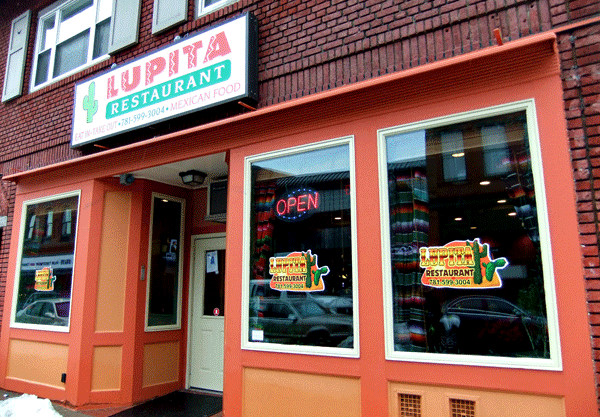 With so few choices for Mexican food on the North Shore, we were thrilled that two such places were opening in Salem within weeks of each other. In fact, we were so excited that we didn’t wait long before trying them and were disappointed. 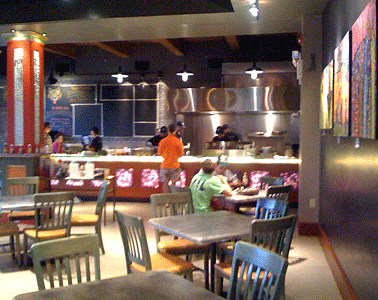 We had mediocre meals at both, although Comida’s food was overall better than Howling Wolf’s. 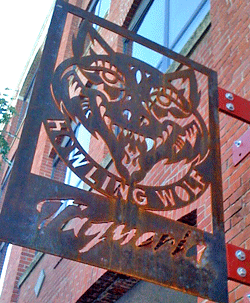 Howling Wolf is a large restaurant with an industrial feel. The decor is interesting, but the space felt uncomfortable to us, with the exception of a lively bar at one end serving beer, wine, and sangria. 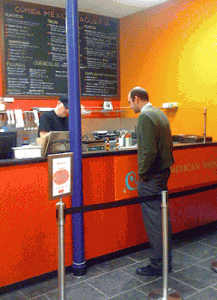 The chips and guacamole ($4.50) were very good, with a nice kick to the guac. The shrimp quesadillas ($8.25) was also tasty, and we enjoyed the posole ($6.50) even though it wasn’t hot enough temperature-wise. 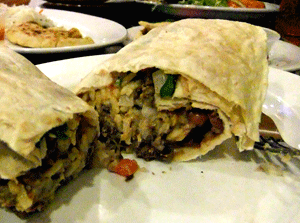 But the burritos were very disappointing, with flavorless rice, watery tomatoes, and dry meat in the shredded beef ($6.25) and not much more appeal in the steak version ($7). The two tacos we tried also let us down; the fish was just okay ($3.25), and the pork with red chile marinade was too spicy for our palates ($2.50). 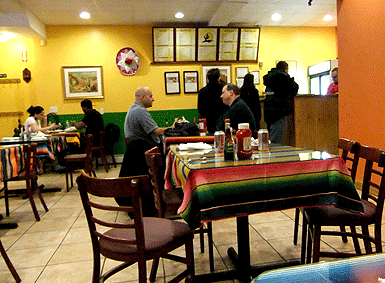 Comida is take-out rather than a restaurant, although it has a few counter stools and a cheery, appealing interior. The pork taco ($3.25) and the pork carnitas and steak burritos were very good (both $6.75). 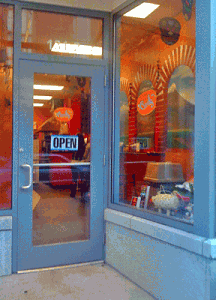 The burritos were large and included quality ingredients, and we’d definitely return for them. One nice feature is a large list of burrito fillings that includes mole, pico de gallo, mango-corn salsa, guacamole, and queso sauce, among others. However, we had a bit of an ordering mix up–two of our party wanted their burritos without beans and assumed if they didn’t list beans among their desired fillings that the burritos would be bean-free. This was not the case; the steak burrito came with unrequested black beans, and the chicken burrito came with pinto beans ($6.50). 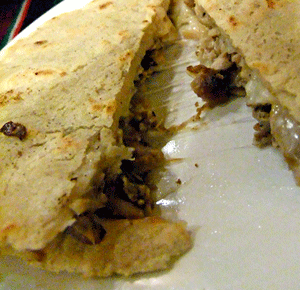 The quesadillas were similarly very heavy on black beans, and they were not the style we are used to: soft tortillas folded around ingredients rather than flat, crisp ones. 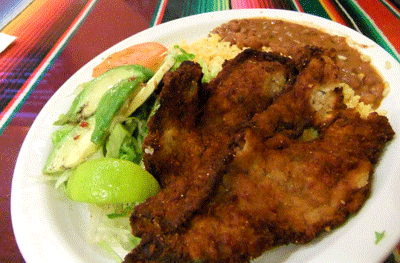 We were also surprised by the chips and guacamole; the chips were stale and the guacamole portion was tiny. So was the side of mango-corn salsa, although for only .50, we shouldn’t complain. But the same can’t be said for the ensalda de comida ($4.50), which had lettuce, avocado, and queso fresco, tortilla strips that turned out to be crushed chips, avocado lime dressing that somehow managed to be without flavor, and a few steamed vegetables, similarly flavorless ($4.50). We’re assuming that at least some of these missteps are due to the newness of both places. We plan to return at some point to test our theory, and we welcome comments about readers’ experiences in the meantime.